In an industry where big budget movies are compared to gambling where the success percentage is 30-70. Small budget movies are always considered to be safe but find it difficult to release. In Telugu movie industry especially in Hyderabad most of theaters are owned by influential people and they restrict the release of the movies by not giving them good and more theaters. 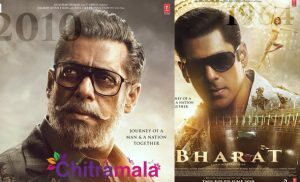 In spite of the hurdles some of the movies have gone well in the audience and collected decent money, lets have a look at those. Ram Gopal Varma is the first director in industry to start this trend of small budget movies. Anaganaga Oka Roju directed and produced by RGV on Varma creations was released on January 1st, 1996. This action comedy starring J.D.Chakravarthy and Urmila Matondkar and was a huge hit. The movie was initially directed by Krishna Vamsi but due to some differences RGV had to take over the direction department. The movie got comedian Bramhanandam Nandi award for his character Michael Jackson which is still remembered by people. Music was composed by Sri. If Ram Gopal Varma started the trend of small budget movies, producer and director Gunnam Gangaraju took the trend forward. Little Soldiers released on February 2nd, 1996. This movie is still a favorite and popular among children and families. The movie had a record run of 365 days in Hyderabad. The movie’s plot starring child artists Kavya, Bala Aditya, Ramesh Arvind and Heera is story of problems faced by two children whose parents are killed in an accident and how these two children take revenge on the person. Child artist Kavya got national award for her performance. Music composed by Sri is top class and also lyrics by Sitaramasastri. Aithe movie directed by debutante Chandra Sekhar Yeleti and produced by Gunnam Gangaraju. The story is about four youth and their dreams to become rich and the problems faced by them in the process. The movie had just one song and was composed by Kalyani Malik. The movie was released by 11th April, 2003. The movie was encouraged by Indian government by giving National Award for best film and Filmfare award to Pavan Malhotra for best villain. 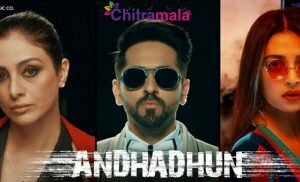 Anukokunda Oka Roju made by the same team of Aithe. The movie was made with a budget of 3 crores and proved a successful movie. The movie starring Charmee, Jagapati Babu, and Shashank was released on 30th June, 2005. Music was composed by M.M. Keervani. The movie won two Nandi awards for second best feature film and best screenplay writer for Chandra Sekhar Yeleti. The movie is about story of a day missing in a girl’s life and consequences faced by the girl. Happy Days movie directed and produced by Sekhar Kammula. The movie was released on October 2007. The movie starred all new comers except Tamanna. The movie was made under a budget of 2 crores and collected around 25 crores. The movie is story about life of students in engineering college and their dreams and problems. The movie went viral in youth and ran 100 days in almost 50 centers in AP. The movie won six Filmfare and three Nandi awards. The music composed by Mickey J. Meyer was very popular in youth. The movie was later remade in Tamil, Malayalam and Kannada. Ashta Chamma directed by Mohan Krishna Indraganti and produced by Ram Mohan was a successful movie. The movie was released on September 25th, 2008. The movie was a romantic comedy and considered surprise hit of the year. Variety screenplay, entertaining script made audience come again. The movie introduced actors Nani, Srinivas Avasarala and actress Swathi Filmfare award for best actress. Prayanam movie directed and produced by Chandra Sekhar Yeleti. The movie was shot in a single schedule and 98% of the movie was shot in Malaysia airport. The movie starring Manchu Manoj, Payal Ghosh and Bramhanandam in main roles was released on 12th May, 2009. The movie plot is simple which got connected to the audience instantly. Story is about a guy falling in love with a girl in airport and how he impressed her. The music was composed by Mahesh Shankar. Ala Modalaindi staring Nani and Nithya Menen directed by Nandini Reddy. The movie was made with a budget of 5 crores and collected around 23 crores. The music of the movie was composed by Kalyani Malik. The movie is a simple love story with an interesting screenplay. The music was dubbed into Malayalam. Uyyala Jampala movie directed by debutant Virinchi Varma and produced by Ram Mohan and Akkineni Nagarjuna. The movie was released on 25th December, 2013 and was a successful movie. The movie was made with a budget of 2 crores. The movie deals with simple emotion between bava maradulu and the romantic angle between them. The music of the movie was provided by Sunny. The movie introduced actors Avika Gor and Raj Tarun. Raj Tarun got good reviews for his acting and village accent. The camerawork by Vishwa needs special mention.